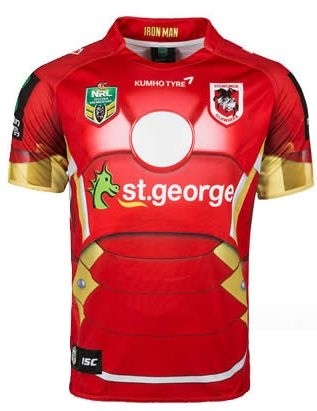 ISC presents Marvel Hero jerseys. 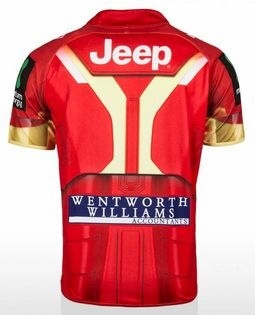 Hero worlds have combined to create this special edition superhero jersey. 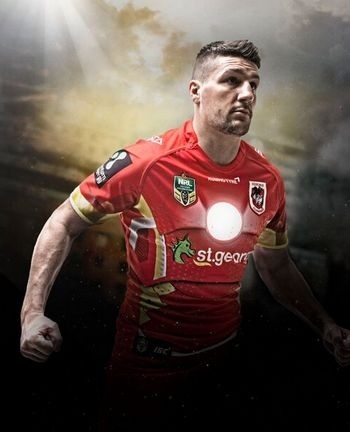 The Dragons's Gareth Widdop represents Iron Man in this jumper featuring traditional red colouring and iconic super hero heart. This garment is made from a mid-weight polyester pique with micro eyelets on the interior face which draw heat away from the body. The ultra-soft handle helps make this the most comfortable fabric for watching your team in.